At a press conference at the Adihex exhibition, which took place from the 9th to the 12th September at the Abu Dhabi Exhibition Centre, Lara Sawaya, the director of the HH Sheikh Mansoor bin Zayed Al Nahyan Festival, announced several Festival novelties programmed for the end of the year, but also for 2016. With prize-money of 1.2 Million Euros, the Group 1 Sheikh Zayed Bin Sultan Al Nahyan Jewel Crown, which will be run on the 8th of November 2015 at the Abu Dhabi racecourse, will be the world’s richest race for Purebred Arabians. The race will be run over the mile and is open to four-year-olds and older horses. 57 Purebred Arabians have already been entered in the race that is limited to 16 runners: 3 from America, 3 from Europe, 3 from the Gulf countries and seven others from the United Arab Emirates. Runners have to meet the conditions of the EAHS, the Emirate Arabian Horse Society and it will be the owner’s nationality and not the horse’s country of birth that determines the runners. 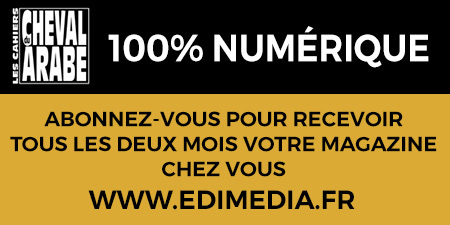 The preselection of the runners will be done by EAHS, who determines which horses meet the criteria, while the final selection of the 16 runners depends on ratings. The meeting on the 8th November will be sponsored exclusively by the Festival and includes several finals: HH Sheikha Fatima bint Mubarak Ladies World Championship, worth 200 000 AED (about 50 000 Euros) and the HH Sheikha Fatima bint Mubarak Apprentice World Championship, worth 150 000 AED (about 36 500 euros). The Wathba Cup is worth 80 000 AED and the two other races of the meeting will be worth 80 000 and 90 000 AED. Three endurance races that fall under the banner of the HH Sheikh Mansoor bin Zayed Al Nahyan Festival, took place on the 26th and 27th of September in Italy and were integrated in the Diego Albiero chaired Italia Endurance Festival 2015. The 120 km Championship for young horses (7 yold) took place on the 26th September in the Parco Giardini Sigurta de Valeggions sul Mincio and around the Garda Lake, close to Verona. Two 100 km events were run at the same location on the 27th of September. One was a CEIO* HH Sheikha Fatima bint Mubarak Ladies Endurance Cup for lady riders and the other was the CEI* HH Sheikh Mansoor bin Zayed Al Nahyan Endurance Cup. Two all-female teams from the Emirates werel lined up in Sheikha Fatima bint Mubarak Ladies endurance Cup on the 27th September and five riders were competing in the HH Sheikh Mansoor bin Zayed Al Nahyan Endurance Cup. The first five of the World Championship and of the Sheikh Mansoor bin Zayed Al Nahyan Endurance Cup, as well as the ladies of the first four teams in the Sheikha Fatima bint Mubarak Ladies Endurance Cup will be invited to Abu Dhabi for the great race on the 8th of November. In 2017, Verona will host the World Championship for young horses. 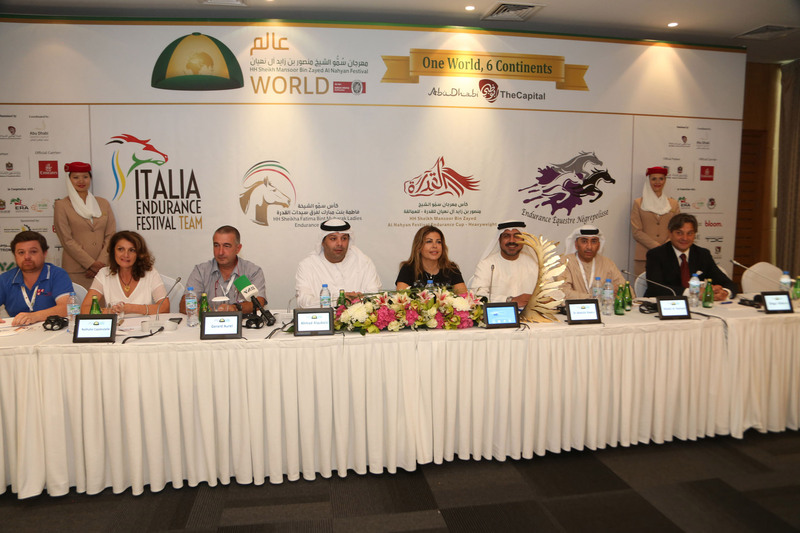 The partnership with the Italia Endurance Festival has been in place since 2013 when it already organised the World Championship for young horses. It is the Negrepelisse site that has been retained for the World Championship for young horses 2016. It will take place on the 23rd September and Gérard Aurel, Chairman of the organising association, presented the area to the press. In April 2016, the Portuguese National Championship of endurance will also host a race for lady riders and one race of the HH Sheikh Mansoor bin Zayed Al Nahyan Endurance Cup. The Championship is sponsored by the Festival. For the third consecutive year, the HH Sheikha Fatima Bint Mubarak Darley Awards will take place at the beginning of April at the Dolby Theater on the Hollywood Boulevard in Los Angeles. This event that combines the American Darley awards and the Sheikha Fatima Darleay Awards celebrate the ladies who stand out in the world of Purebred Arabian racing. 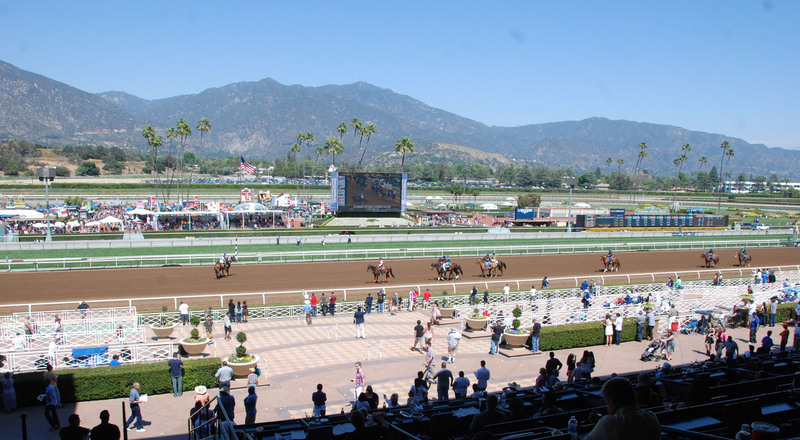 It used to be run over two days, but in 2016 it will include a third day thanks to a race that will be run on the Santa Anita racecourse: the HH Sheikha Fatima Bint Mubarak Darley Award Stakes that is worth 100 000 US$. More details will be revealed in November.